St. Dalfour Apple & Cinnamon Spread! Whether added to an apple pie, mixed with porridge in the morning, or simply spread on toast – you have to try this delicious preserve for yourself! Here at St. Dalfour, we have come up with 3 classic recipes for you to try at home to celebrate our new preserve, available in store and online now! Serve with custard, ice cream or cream and enjoy! Be sure to try these recipes for yourself. 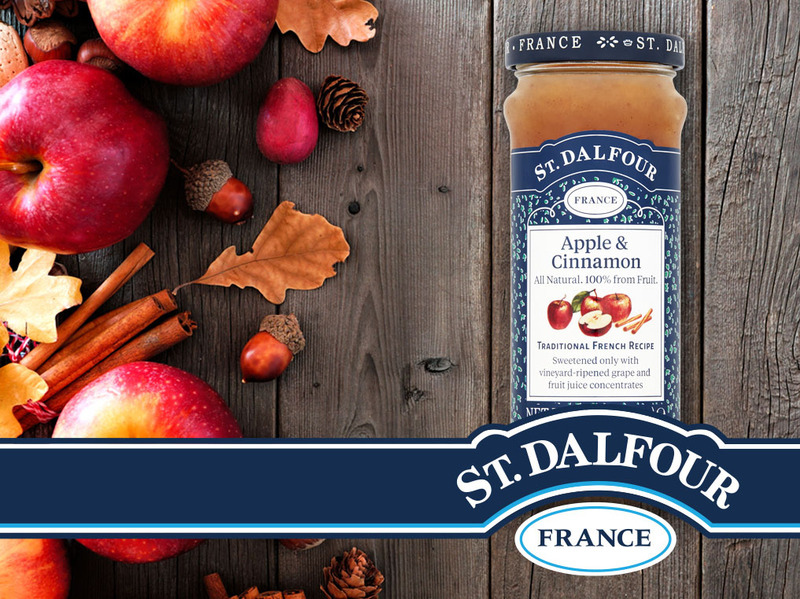 CLICK HERE to order your St. Dalfour Apple & Cinnamon Spread today!